In case you didn’t know, the bridge is so named because prisoners inside the Doge's Palace would walk through the interior of the bridge on the way to their execution in St Mark’s Square. 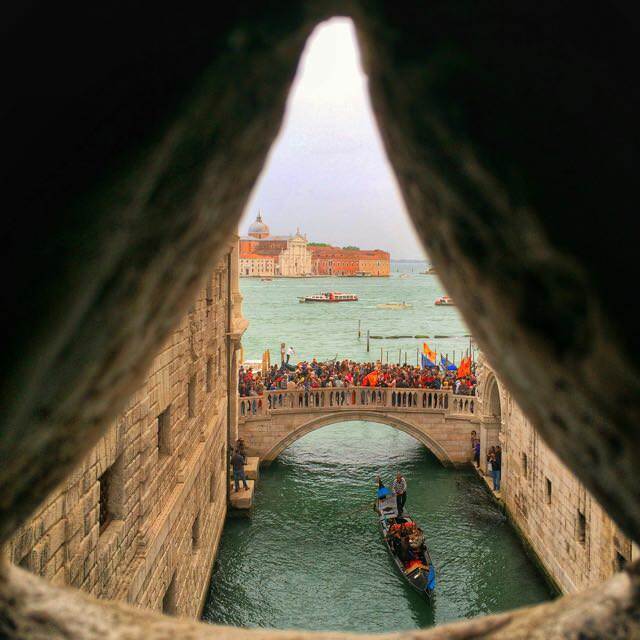 The bridge and the tiny lattice gaps gave prisoners their very last view out over Venice before they died. And that last view is thought to have induced a final sigh at Venice’s beauty, hence the name: Bridge of Sights.